Sarah Fahey is now pleased to offer Relocation Consultations via Skype. 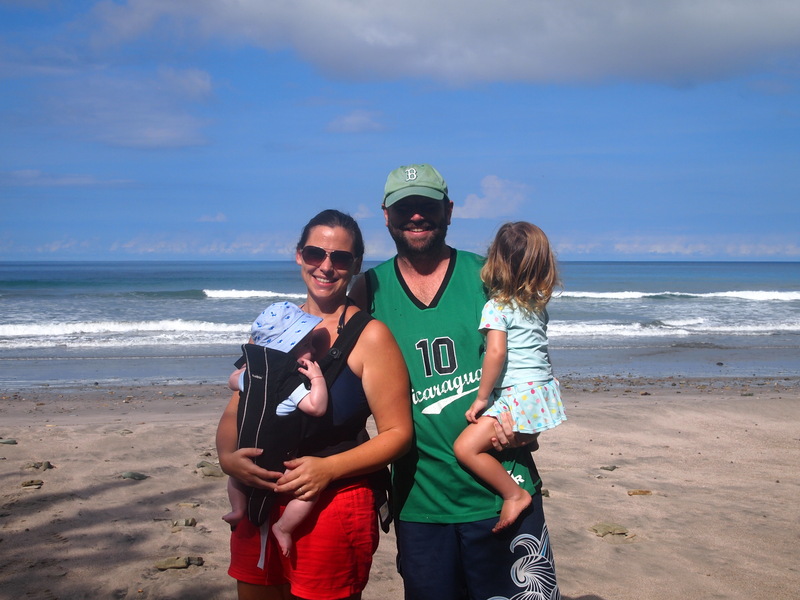 With nearly 6 years experience living in San Juan del Sur, Nicaragua, Sarah and her husband Justin have learned the ins and outs of life as expatriates. Justin, a real estate agent in Nicaragua for over 5 years and now famous for two House Hunter’s International episodes (Socially Conscious in San Juan del Sur and Making Waves in San Juan del Sur), has a wealth of information regarding buying and selling property, as well as knowledge on construction costs and building. Justin traded in the cubicle for a 4×4 and has thrived on the newfound independence. He loves finding deals and beautiful properties for clients. Sarah began her journey in San Juan by volunteering with numerous non-profit organizations (Casa de la Mujer and Amigos de la Policia). Later, she joined the Nicaraguan hospitality industry as the homeowner liaison and marketing director for Pelican Eyes Resort and Spa. She has also worked for over five years as a rental agent for Vacation Rentals Nicaragua, a subsidiary of Aurora Beachfront Realty. After nearly 4 years with Pelican Eyes, she parted ways with the hospitality industry and returned to her education roots as Director of Development for San Juan del Sur Day School, a full service bilingual primary school here in town. In addition to work, Sarah is the co-founder of San Juan Moms, an online forum and support group for pregnant and parenting Expat and Nicaraguan mothers living in and around San Juan del Sur. In her spare time, she created An Expat Life in Nicaragua and Mom’s the Word: A New Mom Trying to Keep Her Cool in Nicaragua. She also bakes a mean caramel bar and is learning to see Nicaragua through the eyes of her children. Justin and Sarah are raising two children in Nicaragua, both born here. With a handle on both tourism and community, Sarah is perfectly suited to consult on a variety of relocation questions or refer you to someone who can. Please contact me for rates. I am a big fat liar! Hi Sarah. My partner and i are visiting nicaragua with the thought of moving here after our child is born in March. We will be in SJDS for the next couple days and would enjoy meeting/speaking with you/your husband to hear more about your experience here.